If you are on the paleo diet, you have probably noticed that it isn’t always easy to find supplements that are paleo-friendly. Taking supplements isn’t always straightforward when you’re on the paleo diet—after all, if the cavemen didn’t have supplements, are you sure you can have them? However, we aren’t cavemen any more, we are exposed to toxins on a daily basis, and sometimes we just need a supplement to help our bodies to face certain hurdles and challenges. What’s the answer, then? How do you stay true to your paleo roots and still make sure you’re giving your body the nutrients that it needs? The solution is to choose products made of wholesome, food-based ingredients selected from the categories that belong to the paleo diet. You’ll have a paleo-friendly, guilt-free supplement that doesn’t trample on your diet and lets you continue to enjoy all the great health benefits you’ve come to expect from your paleo lifestyle. However, finding these supplements is often easier said than done. Even when you carefully comb through the ingredient lists of every product on the market, you could still come up empty and waste a bunch of time. The great news is that American Bio-Sciences creates supplements that cater to the paleo lifestyle and take into account your needs and expectations for the supplements you choose to buy. We’d like to share a little bit of information about the following four products from American BioSciences that are paleo-friendly. As you age, your immune system naturally declines, and sometimes you just need a dose of daily immune support. Our ImmPower and ImmPowerD3 products are designed to give a boost to your immune system’s natural killer cells, while also supporting healthy functioning of other important immune system components, such as T-cells, B-cells, and macrophages. 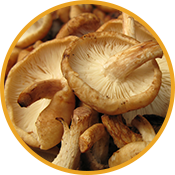 The active ingredient of this product comes from a mushroom, which is a solid part of the paleo diet. You can check out all the ingredients of these supplements on their product pages. Do you sometimes stop to wonder if our hunter-gatherer ancestors ever groaned with joint pain? Or did they themselves know about the same types of herbs that we’ve put into our FLEXSolve 24/7 capsules? What we do know is that some of the joint-supporting herbs in this product are the same ones that Australia’s Aborigines have depended on for centuries to help with wear-and-tear on aging joints. Learn more about the joint-friendly ingredients in FLEXSolve 24/7 here. Our circadian rhythms in the 21st century are definitely subject to more stress and shock than what our ancestors would have experienced. Join the many other people who have reported getting relaxing, restful sleep with this paleo-friendly sleep product. The best part? It’s completely natural and not addictive, so you can take it continuously and not worry that you’re creating unhealthy dependency. Learn more about SLEEPSolve 24/7 and its ingredients here. Make American Bio-Sciences your source for the supplements that will support your healthy lifestyle. Shop our paleo-friendly options today.